Of late, there has been much talk in the Muslim world about boycotting certain products to impact principally the economy of Israel’s proxy, the United States, which is appropriate and timely, and ought to be supported by all legitimate and effective means. is an ardent and sustainable call for coming to terms with and boycotting inappropriate and questionable cultural and civilizational ideas, values, trends, theories and institutions. While the former is short-term, the latter is a long-term strategy with much more effective and lasting results. The call must be rooted in and driven by rationalism, rather than emotional outbursts and even dysregulation. Sure, we happily and insatiably consume the products in question, and have problems parting with them, because of our intellectual, spiritual and cultural contamination that arrives from obviously inappropriate and questionable epistemological, ideological and civilizational sources. It follows that consuming problematic products is an effect, while devouring ideas and values is a root cause. Focusing on the effect but neglecting the root cause will never solve the predicament we suffer from, neither permanently nor completely. What’s more, it even can render the whole situation all the more difficult and thorny. It is high time, therefore, to really wake up, and embark on a more comprehensive, appropriate and tenable course of action. It is high time to show more respect towards ourselves at all levels of existence and thus secure more respect from others. and start the whole process of intensive campaigning and boycotting all over again. And the recurring futile, queer and somewhat droll cycle goes on indefinitely. Several examples of Islamic ideals and values that we have bartered cheaply — partially or completely — for some one-dimensional and spirituality-free western alternatives are those pertaining to man (and woman), family, life and death, the universe, urban and human development, wealth acquisition, distribution and consumption, education, society and social relations, politics, fashion, art and entertainment. Simply said, life in its totality and with all its dimensions, physical and metaphysical, has been targeted. As a result, Muslims have become a nation (ummah) bereft of its genuine and intrinsic purpose, worth and identity, cultural and civilizational philosophy, vision and mission, while at the same time priding themselves on artificially constructed historical and socio-political legacies, disorienting and vague present-day struggles and undertakings, as well as on sets of false and delusional future hopes, aspirations and dreams. That said, our external maladies are but reflections of our internal and far more complex and devastating malaises and confusions. Our external troubles are brought forth and nurtured by our inner emptiness and worthlessness. Our cultural and civilizational lethargy and dependency are attributable to our spiritual and intellectual deficiencies and waywardness. Admittedly, so numerous, pervasive and advanced are our disorders and ailments that it is very difficult to pinpoint what exactly the remedies are, where to start and how to map and execute the potential plans, programs and schemes. Nonetheless, one thing is absolutely clear. It is a time for some decisive action if we were ever to have any significant say on future developments that concern not only Muslims but also all humanity. 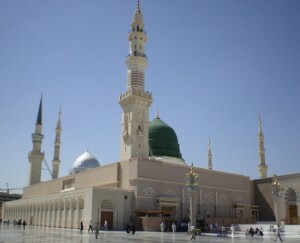 Hence, every constructive initiative, plan and program, and at any plane of the Islamic presence, which aims to bring Muslims back to their intrinsic selves, their identity, culture and history, and above all, to their spiritual and ethical norms and values, is to be most sincerely welcome and wholeheartedly supported by all Muslims. Excellent coordination and mutual support between different initiatives and programs are to be also ensured. All levels: individuals, family and institutions, are to be targeted thereby. Everyone must repeatedly ask himself/herself what he/she is able to contribute to the cause, and how and where he/she can do more. Discharging the individual duties of self-assessment and enjoining what is good and forbidding what is evil (al-amr bi al-ma’ruf wa al-nahy ‘an al-munkar) is to be stepped up like never before. The prime objectives of those programs and plans, as well as their methods of implantation, are to revolve mainly around people’s intellectual, spiritual and moral awakening, enlightenment and growth. 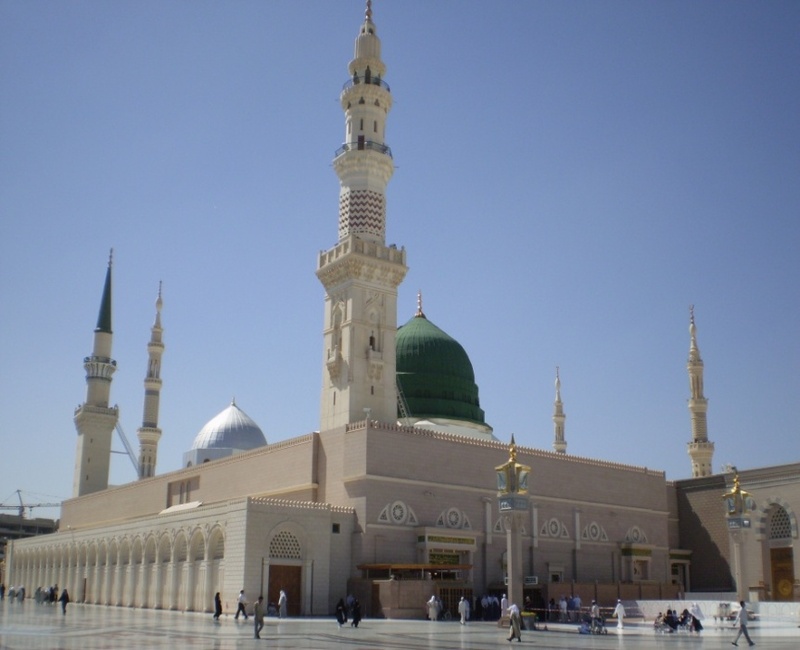 They, in a nutshell, are to aim at correctly conceptualizing and optimizing the dynamism and universalism of the notion of the first Islamic revelation: “iqra’” (read, recite, study, explore, observe) (Surah al-‘Alaq, 1) with which Prophet Muhammad (pbuh) both initiated and ultimately succeeded in changing forever the course of human history and civilization. Indeed, almost every civilizational good that humanity enjoys today is due to such holistic changes and transformations attributed to Prophet Muhammad (pbuh) and those who came after him and followed in his footsteps. It’s no wonder that in Islam all good and righteousness are associated and are synonymous with light and appropriate knowledge and wisdom, whereas all evil and falsehood are associated and are synonymous with darkness, ignorance and blind following. However, it must be unmistakably emphasized that only those activations of “iqra’” which are unified with the precept of “in the name of your Lord” (Surah al-‘Alaq, 1) are recognized and approved by Islam. There is no place for separation, or conflicts, between the two as they complement and exist for each other. The Prophet (pbuh) consequently besought God for protection against the types of knowledge that procure no benefit, that is to say, any form of knowledge that does not bring us closer to our Lord, nor does it contribute to the purification and illumination of our souls and minds. No knowledge or education, which does not lead to the real and everlasting good of this world and the Hereafter, that is deemed proper and worth undertaking. Getting to an Islamic holistic intellectual and spiritual awakening is an extremely serious and demanding task. It requires major contributions and high-spirited concerted efforts of many parties from across the wide spectrum of society: central and local governments, institutions and establishments, educators, professionals, NGOs, students and the general public. Certainly, relevant governmental departments, bodies and institutions, schools, colleges and universities, both private and public, are identified as the most relevant agencies and their people as the most important protagonists in spearheading and managing the implantation of the said project. The responsibilities of those parties are the biggest on account of their most vital roles in society. It goes without saying that in case of failure, especially if such happens due to deliberate mediocrity, indifference and apathy, their share of blame will be the biggest one as well. Without doubt, it is owing to this undeniable actuality that in the International Islamic University Malaysia (IIUM), a university subject titled “The Islamic Worldview” is taught in all Faculties (Kulliyyahs). Accordingly, each and every student must register and pass the subject which is a graduation requirement. The subject is taught in such a way that its topics and contents are not only dealt with conceptually, but are also attempted to be integrated into the relevant epistemological fields, such as human sciences, economics, law, engineering, art, architecture, medicine, information technology, etc. The subject of “The Islamic Worldview”, it stands to reason, serves to students as an eye-opener and a wake-up call, rather than serving as no more than an information, data and theories provider. It is all about critical and creative thinking from Islamic perspectives, as well as about paving the way for the demanding prospect of amalgamating the secular and religious, the material and spiritual, and the theoretical and practical dimensions of Islam as a complete way of life. The objectives that the academic subject in question strives to achieve are, firstly, to acquaint the students with the profound meanings, characteristics, foundations and objectives of the Islamic and selected non-Islamic worldviews; secondly, to make the students comprehend the major aspects of the Islamic worldview and their vast implications for life, thought and personality and society building; and thirdly, to enable the students to identify some foremost challenges faced by contemporary man and society, and to discern how Muslims should respond to them. To many, including the author of this paper, the subject of “The Islamic Worldview” is a microcosm of the complete educational philosophy and system of the IIUM which, as its noble mission, promotes and tries to accomplish the principles of internationalization, Islamization, integration and comprehensive excellence. This is so because in Islam, the ultimate goal of education is to produce exemplary men and women who will not only be excellent professionals, but also excellent citizens, parents, spouses, neighbors, friends, etc. That is, they will be able to function in all contexts as excellent vicegerents and trustees (khalifahs) on earth, an honorable title accorded to us by our Creator and Master. Raising and educating our young men and women in the spirit and under the aegis of some conflicting and alien-to-Islam ideologies and value systems is not just a moral disaster and an act of perpetuating the predicaments and maladies that incessantly cripple the minds and souls of Muslims, but also an act of betraying perhaps the weightiest of trusts that has been placed upon the shoulders of governments, institutions, schools, colleges and universities, and the shoulders of all the personnel linked, one way or another, with those bodies and establishments. Definitely, our future lies in the hands of our children (students). Misguiding and mis-educating them signifies a collective cultural and civilizational suicide. Thus, ours is to change what is in us and within our domains. Allah will then take the lead in altering and improving that which is beyond us and beyond our capacities. We must not forget that the latter is not automatic. Rather, it is conditioned by the former and the quality of its execution. The greatest irony would thus be to get obsessed with trying to solve the issues which belong exclusively to Almighty God and His “jurisdiction”, but at the same time neglect what is incumbent upon us as individuals and groups and what belongs to our own “jurisdiction”. Unfortunately, nowadays many Muslims tend to do just that. Trivialization has taken precedence over prioritization. Dr. Spahic Omer, a Bosnian currently residing in Malaysia, is an Associate Professor at the Kulliyyah of Architecture and Environmental Design, International Islamic University Malaysia. He studied in Bosnia, Egypt and Malaysia. His research interests cover Islamic history, culture and civilization, as well as the history and philosophy of Islamic built environment. He can be reached at spahico@yahoo.com; his blog is at www.medinanet.org.